So I just got my physical copy of Dr. Octoroc’s 8-Bit Christmas and I’m loving the design of the case and the detail put into the artwork. Excellent work all around. You know I love the music, so I won’t go too much into that, but seriously, if you like chiptunes at all, or if you’re just a huge fan of the old NES days, you should get this album to dork out during the Christmas season. Best Super Mario Brothers Live Evarz! Quick! 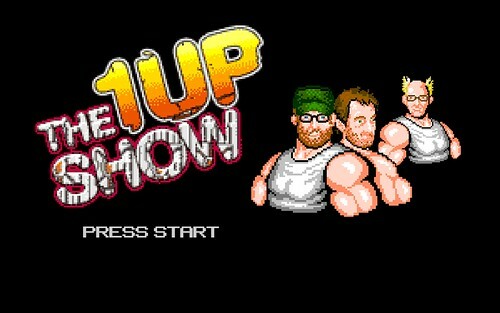 Get The 1UP Show OST…Fo’ Free! Not much to say here other than, if you ever liked the themes, bump, or background music for The 1UP Show, then here is your chance to own a piece of the action for the low, low price of NOTHING! Also, if you have interest in the 1UP FM crew, or the 1UP Show crew, you should definitely check out Rebel FM, the podcast of the dejected rejected from 1UP. 🙂 It’s pretty good for info right now, and I expect it to continue well. (And yes, there is an RSS feed, and it IS available through iTunes, read their site for details.) Frankly, I think Eat.Sleep.Game has the possibility to get some decent advertising if they do things right. People want to hear what these specific people want to say about gaming. And right now, that site is the only place for it. Good luck, y’all…. Quick! Get The 1UP Show OST…Fo' Free! For your (belated) Christmas Humpday Flash selection, I bring you the latest in the WarBears saga: “WarBears Adventures: An A.R. 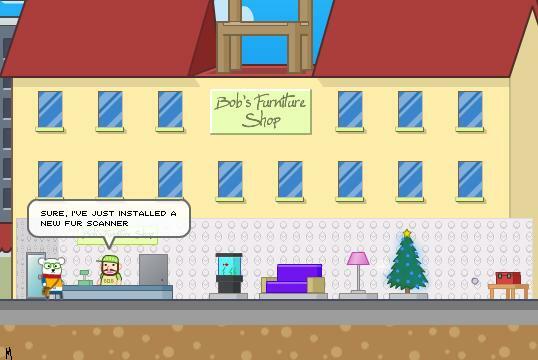 Xmas,” from Kongregate. It's a Very WarBears Christmas Special! The WarBears series has always meant good old-skool puzzle-solving, of the point-and-click-adventure type, and this shorter, holiday themed game is no different. There’s a couple of cheat-y moments that you just have to kind of hunt around, but that’s par for the course for this genre of game. I highly recommend playing all of the series (They’re all good, and well written) but to whet your appetite, definitely try out this Christmas episode! Merry Christmas everyone! Doctor Octoroc Needs Your Help! Hey there, readers! Well, this is the kind of thing I have to admit, that I absolutely love the blogosphere (which is different from the Blagosphere)…when one blogger notices a problem with another blogger, and reaches out to help. So, any of you who checked out or downloaded Doctor Octoroc’s Christmastime “8-Bit Jesus” over at his site, Doc needs some assistance. His six month old puppy, Ein, has gallstones (kidney or bladder stones? I an not a doctor. Good thing Octoroc is…) that are too large for him to pass, and therefore requires surgery. No, Doc Oc is not asking for you to pay for the surgery. Instead, he’s asking that if you liked the album, and if you were considering buying the physical copy, that he needs you to pay in advance, instead of when it comes out. See, he doesn’t have the cash to create the CDs, but will with your contribution of $15. So, it’s giving, yes. 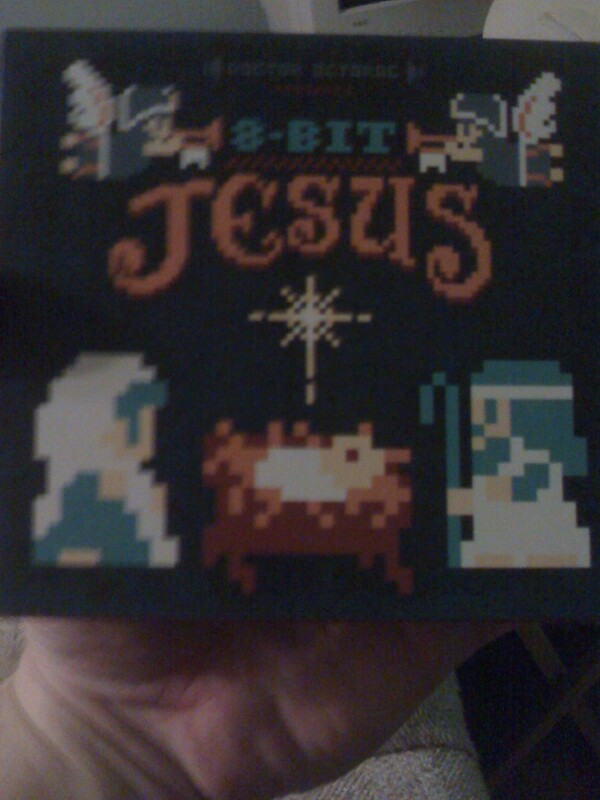 And it’s giving during the holidays, in a sense of cameraderie and fellowship, but it’s also a two-fer, because on top of the sense of giving, you’ll also get the physical CD (with more tracks than listed on the site) of “8-Bit Jesus.” You can read more about this situation and learn how to donate, by clicking this sentence. So, let’s help a brother out, and take some pity on his dog, eh? I can’t do it right now, but I plan on doing it after Christmas, when I’ve got a little more cash to spend. Let’s support some cool chiptune interesting-ness (of course it’s a word!) and help someone out in the community as well!